Collection contains one panoramic photograph. Puerto Rican writer. Collection contains the script for the television drama He Can’t Even Read Spanish, as well as promotional materials, a letter to Lillian López of the New York Public Library’s South Bronx Project and a New York Times article for a similar series on WNBC titled They Can’t Even Speak Spanish. A professional photographer who was honored as the Godfather of the Atlantic City Puerto Rican Day Parade in 2005. The collection consists of thousands of prints and negatives of Latino celebrities and musicians such as Marc Anthony, Celia Cruz, Tito Puente, Johnny Pacheco, Yomo Toro and many others. His photographs were published in Latin Beat Magazine, puertoricans.com and other publications. He attended almost every major parade in the tri-state area and has photographed many of them. 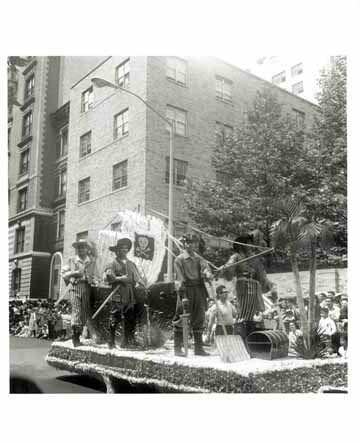 The collection consists of 86 photos of the Puerto Rican Day Parade, District 65-Retail Wholesale and Department Store Union, Local 6-Hotel and Club Employees Union, 1199, Local 60-Luggage Workers Union, Labor Committee, International Ladies Garment Workers Union (ILGWU), Club 1380, Isabela Social Club, Migration Division, El Diario, Hispanic Auxiliary Police Association, Local 485 and Liga Puerta de Tierra. 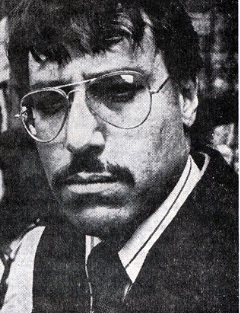 Poet, one of the leading literary figures of Loisaida and the Nuyorican movement. He founded the Nuyorican Poets Cafe in the living room of his apartment as a gathering space for artists and live poetry. Its popularity and influence eventually outgrew the apartment and Algarín rented space to accommodate its rapidly growing audience. In 1975, Algarín edited “Nuyorican Poetry” with Miguel Piñero, an anthology of poetry by Puerto Ricans in New York. The collection consists of clippings, correspondence, manuscripts and publications by Algarín and others. Community activist and senior citizen advocate. This resource for research in grassroots organizing, community activism, senior citizen life in New York City, particularly in East Harlem and the development of East Harlem. The materials document organizations Allende was actively involved with, such as the Community Board 11, Iris House, the Bonifacio Cora Texidor Housing Development Fund Corporation, the Institute for the Puerto Rican/ Hispanic Elderly, Inc., East Harlem Community Health Committee and the Gran Orden Fraternal de Odfelos Latinos. The materials document cultural and political organizations, contains correspondence, clippings, community newspapers, memorabilia, photographs and presentations. The collection consists of correspondence, sheet music, writings, newspaper articles, concert programs, photographs and music CDs of Álvarez. Selection of documents from the Samuel Gompers Papers, former President of the American Federation of Labor, that pertain to Puerto Rico and Puerto Ricans. Original holdings are at the Khell Center for Labor-Management Documentation and Archives at the Cornell University Library. Andrade has been an active participant in Hispanic labor organizations and held various positions in the Hispanic Labor Committee and the Labor Council for Latin American Advancement. A life-long activist and leader in the labor movement, Andrade first worked as an organizer in Miami and New York after arriving from El Salvador. She was the director of the Department of Education for the International Ladies Garment Workers Union (ILGWU), where she was responsible for worker education programs. The collection consists of correspondence, photographs, event programs, invitations, flyers and pamphlets, mainly about activities in the New York metropolitan area. Her collection is especially rich in photographs of women in union activities. Lawyer and civil rights activist. These papers captures the militancy and turbulence of the Puerto Rican independence movement particularly during the 1970s. The papers document the history of leftist movements in Puerto Rico, as well as in the Puerto Rican communities in the United States. 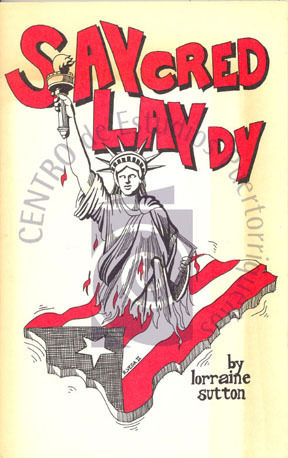 Of great significance is the information on the history of the PSP in the United States, where it had a branch and also published a bilingual edition of its newspaper, Claridad. Other major themes are the decolonization of Puerto Rico as an issue before the UN, the Wells Fargo robbery in Hartford, CT and Puerto Rican political prisoners. The materials include letters, memorandums, reports, pamphlets and newspaper clippings. Community activist and journalist. 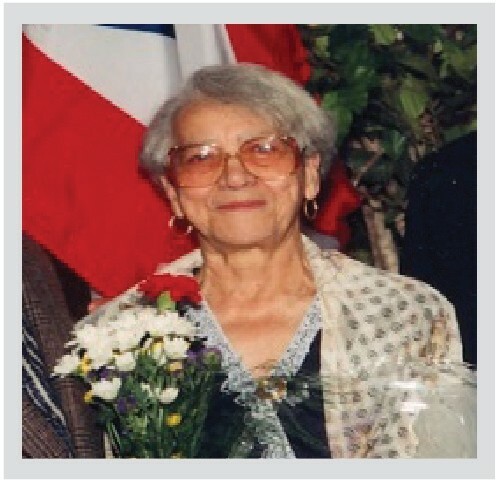 Collection contains correspondence, articles, photographs and printed matter pertaining to the participation of Juanita Arocho in the Masons and the movement for the independence of Puerto Rico. The papers provide insight into community organizing efforts in the Puerto Rican community of East (Spanish) Harlem, Puerto Rican independence movements and the participation of Puerto Ricans in the Masonic Order. Carlos Arroyo dedicated 20 years of his life working exclusively as a successful profes­sional dancer. His passion for dance took him all around the world. 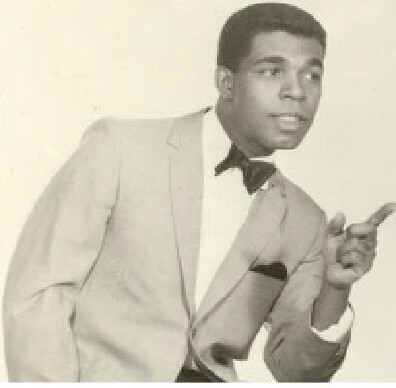 He collaborated with some of the best Latin and North American musicians of the 1950s and 1960s. He is described as one of the greatest Latin rhythm dancers of the period, as evidenced by his collection. Despite having "retired" as a dancer to pursue other interests, he reappeared as part of a homage to Tito Puente at Yale Univer­sity in January 2000 with Mercedes Ellington, Duke Ellington's granddaughter. In 2005, he was recognized by the Pierre Dulaine Dance Club as one of the dance celebrities of the Palladium dance era. The collection consists of photographs, clippings, ephemera and other documents. Artificial collection grouped by provenance comprised of more than 1,500 items dating from 1940s to the present. The collection includes artworks by Puerto Rican artists from the island and diaspora. Highlighted in the collection are works by Jorge Soto, Manny Vega, Gilberto Hernandez, Papo Colo, Marcos Diams and Fernando Salicrup. Also represented are works by artists such as Lorenzo Homar, Antonio Martorell, Rafael Tufiño and Jose Rosa. The collection also contains art prints from art collectives like Taller Boricua and Taller Loiza. Included are the portfolios of Los Casos de Ignacio, El Cafe, Dos Mundos (photographs), Plena and New York-based Proletario and Taller Boricua. The art prints and photographs in the collection promote sociocultural and political events. Some of these include theatre, music, dance, film and events such as Comite de Noviembre, Fiesta de San Juan, Fiestas de Loiza and Centro events. Political figures and social issues include registration and voting campaigns, Herman Badillo, Nydia Velzquez, Fernando Ferrer and the Young Lords. Overall, the collection contains art prints, photographs and calendars, many of which are limited editions. Pianist, organist, teacher and choir director. These papers support research in the musical and cultural history of Puerto Rico. The collection documents the growth of musical, literary, cultural and civic organizations among Puerto Ricans in New York City. The papers include personal documents, correspondence, flyers, writings, invitations, newspaper clippings, scrapbooks and photographs. The papers, which are primarily in Spanish, contain information about herself and her husband, Andrés S. Dalmau, as well as her father, Julio C. de Arteaga. This collection consists of photographs, forms and bylaws of the Asociación de Residentes y Descendientes Puertorriqueños en Cuba, an organization formed to gather Puerto Ricans and their descendants who reside permanently or temporarily for employment or academic purposes in the Republic of Cuba . Also included in the collection are interviews with members of this organization in videocassette and DVR format. The records document the administration, programs and civic contributions of this groundbreaking social service agency. Furthermore, they help chronicle the organizational evolution of the institution and the numerous initiatives it undertook to support Puerto Rican and Latino youth in New York City. A small but insightful collection, highlights of the records include materials on key programs such as the Youth Leadership Development Program, as well as organizational offshoots like the Office of Research and Advocacy and the ASPIRA Clubs Federation. The collection documents the organization’s engagement with current issues in education and politics and its extensive involvement and influence on decision-making. The materials consist of correspondence, memoranda, minutes, photographs, flyers, clippings, proposals, contracts, reports, speeches, videos, slides and financial statements. This collection complements the papers of Antonia Pantoja, Anthony López and Luis O. Reyes. The materials consists of a small array of personal documents, correspondence, publications, clippings, Masons related materials and organizational ephemera. The papers also contain a strong collection of photographs, particularly of Masonic activities. The bulk of the documents are in Spanish. 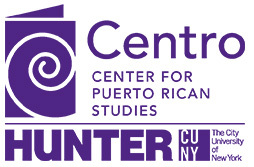 Literary organization founded in 1963 by Diana Ramírez de Arellano and other intellectuals “to bridge the gap of silence and loneliness of the Puerto Rican artist and scholar in New York.” The series contains five scrapbooks with all of the records created by the Ateneo such as bylaws, minutes, invitations, press releases, reviews, programs and photographs. The records document how Ramírez de Arellano and her sister, Daphne, led the organization and presided over its literary programs and conferences. The Ateneo frequently bestowed tributes and medals of honor upon Puerto Rican artists, writers and intellectuals. The documents consist of letters, minutes, articles, books, programs, newspaper clippings, audiotapes and phonograph records. Poet who arrived in New York in 1926. 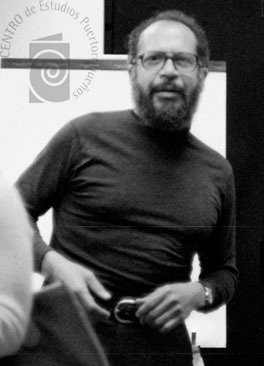 For 30 years, he was editor and director of publicity for Hispanoamerica, an important New York film company. Interested in the Hispanic population and culture, he also presided over organizations such as El Círculo de Escritores y Poetas Iberoamericanos (CEPI), which he co-founded, El Instituto de Puerto Rico, la Sociedad Puertorriqueña de Escritores (New York Chapter) and La Fiesta de San Juan Bautista. He was also named Commissioner of the Commission for Human Rights of New York from 1955 to 1966. The collection is arranged by subject and includes newspaper articles, certificates, correspondence, poems, a copy of Aviles’ book, personal writings, flyers, publications, photographs and pocket diaries. This collection complements the papers of Diana Ramírez de Arellano, Puerto Rican poet and founder of Ateneo Puertorriqueño of Nueva York, as well as the Felipe N. Torres Papers on the Fiesta de San Juan Bautista. The first Puerto Rican elected as Bronx Borough President (1966-1970) and a voting member of the U.S. House of Representatives (1971-1977). Badillo represented New York’s 21st and 22nd districts in the South Bronx. He actively fought for increased voting rights protections, bilingual education and secured federal aid for Puerto Ricans who were subject to the military draft. 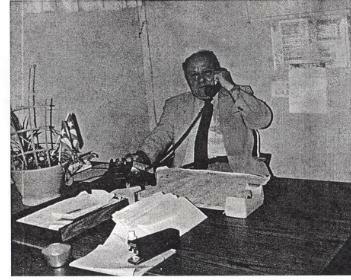 This collection contains press releases, clippings and correspondence gathered by Jim Vlasto, who served as press secretary and spokeman for Badillo during various stages of his political career. The collection consists of 35 photographs of the theatrical actor, including portraits, scenes from performances and cast shots. Professor of Spanish/ Latin American Studies at the University of Florida, Gainesville. Papers include clippings on literature and theater, correspondence, event programs, articles, books and other publications. El Barrio Popular Education Program began in 1985 as a research project of the Center for Puerto Rican Studies' Language Policy Task Force. The program’s goal was for adult students to develop their reading, writing and computing skills in Spanish while learning English as a Second Language through a participatory methodology. The program later incorporated as a nonprofit organization in 1987. The collection consists of administrative files, minutes, correspondence, photographs, clippings, newsletters and videotapes. 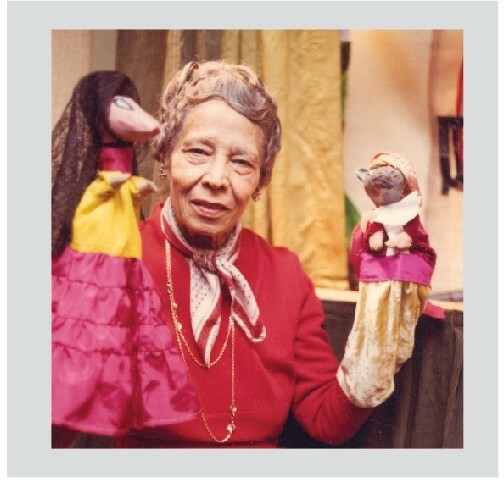 Author, storyteller who wrote and reinterpreted Puerto Rican folk tales and the first Puerto Rican librarian at the New York Public Library. These papers are an important source for the study of Puerto Rican children's literature, folk tales and legends. They are valuable for examining relationships between the Puerto Rican community and a major institution such as the New York Public Library. Additionally, the papers docu­ment the formation and organizational development of the Puerto Rican community in New York City. The materials include personal documents, financial statements from publishers, correspondence, manuscripts, flyers, clippings, photographs and illustra­tions. Available on Microfilm. El Bohio was operated by CHARAS, Inc. as a community and cultural center located in a former public school building in the Lower East Side. El Bohio provided space to a number of community organizations involved in services to youth, fine arts, performing arts, housing assistance and other cultural projects. These organizations in turn provided low-income residents of Loisaida with a variety of activities and programs. 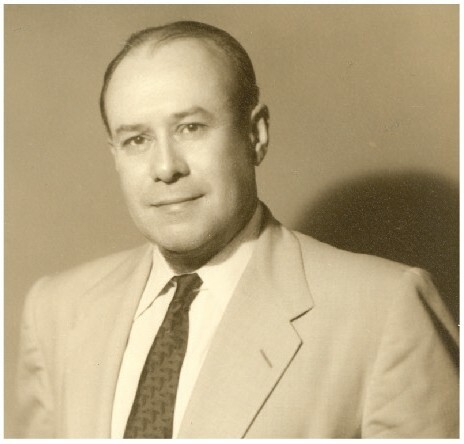 The papers document the dynamic career of a key figure in the fields of Puerto Rican Studies, Latin American Studies, Political Science and the first director of the Centro de Estudios Puertorriqueños. Moreover, they chronicle the activities of organizations and government initiatives that sought to engage a number of issues such as welfare, joblessness, race, minority educational achievement, housing and other social justice issues. A multifaceted collection, highlights of the papers include writings by Bonilla on themes ranging in scope from Venezuelan elites to the state of Latino research after the events of September 11, files on organizations as diverse as the National Jobs For All Coalition, American Friends Service Committee, the Centro de Estudios del Desarrollo, Universidad Central de Venezuela (CENDES) and the Puerto Rican Revolutionary Workers Organization, as well as other materials that document Bonilla’s academic career, political activities and life after his retirement from the Centro de Estudios Puertorriqueños in 1993. The materials consist of correspondence, memoranda, photographs, flyers, clippings, writings, remarks, speeches, publications, videotapes and artifacts. 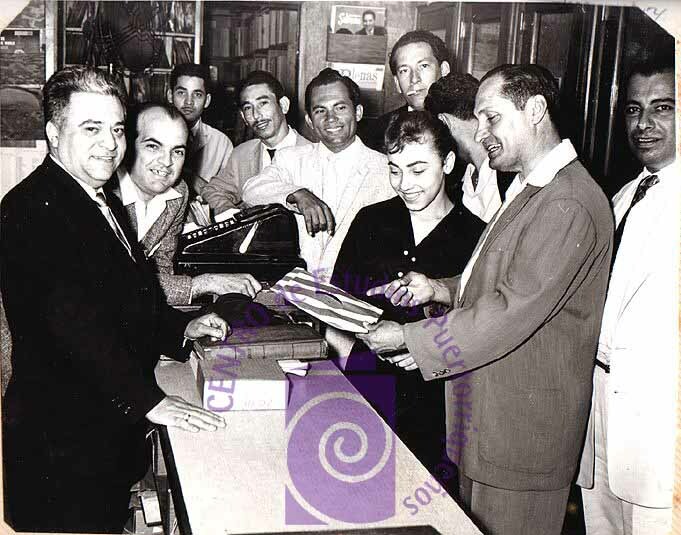 This collection complements the Records of the Centro de Estudios Puertorriqueños. The Bureau of Employment and Identification, 1930-1948, was established in 1930 to administer the Identification and Documentation Program. One of program's main functions was to produce English language identification cards for Puerto Ricans to show as proof of U.S. citizenship for employment and other purposes. Puerto Rican birth certificates, which were written in Spanish, were often unacceptable as proof of U.S. citizenship. The program allowed individuals to obtain vital records such as birth, marriage, divorce, and baptism certificates needed to confirm citizenship. As the number of Puerto Ricans leaving the island for New York and other cities increased, the Government of Puerto Rico, which encouraged mass migration as part of its economic development strategy, was eager to ease the way for migrants and to help them adjust to the new society. In 1948, the functions of the Bureau of Employment and Identification were transferred to the newly created Migration Division. 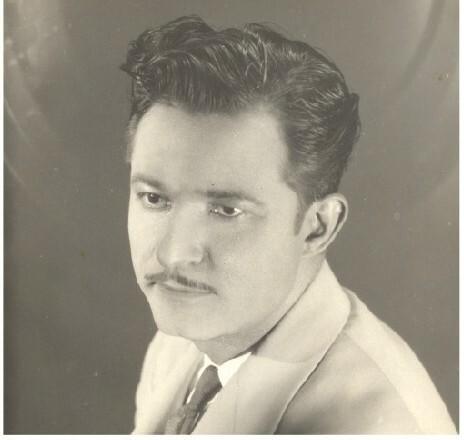 Joseph A. Burgos, son of poet and author José Federico Burgos, who migrated to New York in 1949. He became a member of many Puerto Rican cultural organizations in the city, receiving many certificates of merit for his literature and community service. The collection consists of magazine and newspaper articles about José Federico Burgos (1921-2001), brother to famous Puerto Rican poet Julia de Burgos. The collection consists of a proposal for a sculptural plaza in New York City, created by the famous Puerto Rican sculptor and artist, which he presented to Centro in May 2000 to gain our support for the project. 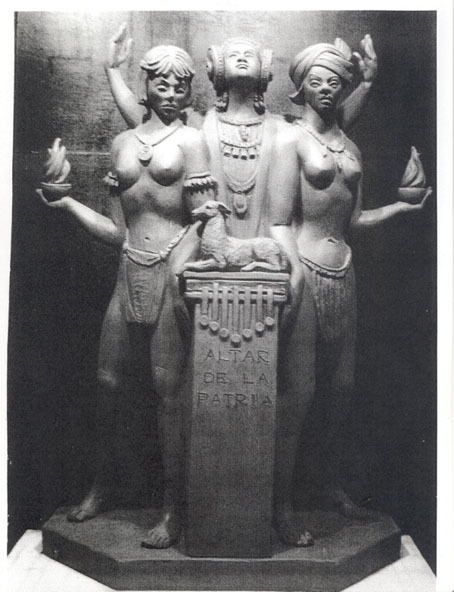 The plaza would contain three allegorical figures representing the three main cultural and ethnic groups that compose Puerto Ricans: Taíno-Arawak, Iberian-Phoenician (Hispanic-Mediterranean) and African. Included in these packets are brief bios, a curriculum vitae, images of the artist’s work and written proposals. Artificial collection grouped by provenance consisting of over 300 items originally part of personal papers or organizational records such as Justo A. Marti, Pura Belpré, José López, Ruth M. Reynolds, Petra Allende, Centro and the National Congress for Puerto Rican Rights. Although the majority of the buttons are Puerto Rican themed, the collection also includes other Latinos, particularly Mexican-Chicanos. The buttons are predominantly political themed representing elected officials such as Herman Badillo or the struggle in Vieques to remove the U.S. Navy from the island. 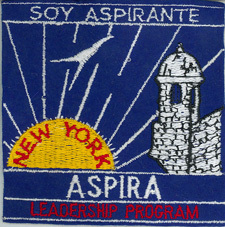 Many also represent organizations, such as the National Congress for Puerto Rican Rights, ASPIRA and Fiesta Folklorica. A highlight of this collection are items from the José López Papers, which include buttons of the United Farm Workers, the UFW boycott and César Chávez. López was a labor organizer in New York City who was a supporter and participant in the UFW boycott.